Is Nitrous Oxide a good choice for you? At The Cosmetic Dentist, Nitrous Oxide is our first choice for helping calm our most fearful patient. Nitrous is a gas that is mixed with oxygen and delivered to the patient through a nose piece. The nose piece, which is usually scented, covers only the nose so the mouth can still be worked on. The patient is instructed to breath through their nose to inhale the gas. The patient will begin to feel the sedation between 30 seconds to 4 minutes after starting the gas. After treatment is complete, the patient is given pure oxygen for 5 minutes to reverse the effects of the nitrous. Unlike general or IV sedation, patients are able to drive themselves home after. Nitrous Oxide has many benefits, and few side effects. It is not effective if nasal passages are blocked, and can be difficult for patients with claustrophobia. However, Nitrous Oxide is one of the safest forms of anesthetic available. It works well on fearful patients as well as on children. If you are the type of patient that could stand to be a little calmer during dental treatment, Nitrous Oxide might be right for you. Talk to your dental professional today about trying it during your next dental procedure. Do you have facial pain? A lot of people do. At The Cosmetic Dentist, we see many patients every week that suffer from chronic facial pain. Some common symptoms include pain in or around the ear, tenderness of the jaw, clicking or popping noises when opening the mouth, or headaches and neck pain. 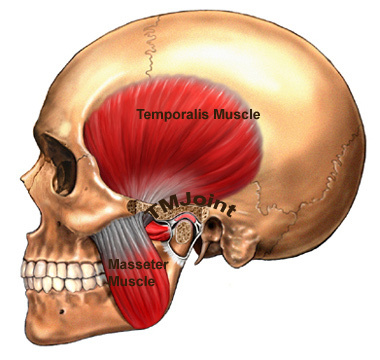 Most of the time this pain can be associated with TMJ, the TemproMandibular Joint. Several muscles also help open and close the mouth. They control the lower jaw (mandible) as it moves forward, backward, and side-to-side. Both TM joints are involved in these movements. Each TM joint has a disc between the ball and socket. The disc cushions the load while enabling the jaw to open widely and rotate or glide. Any problem that prevents this complex system of muscles, ligaments, discs and bones from working properly may result in a painful TMJ disorder. There are several treatments for TMJ disorders. They may include stress-reducing exercises, wearing a mouth protector to prevent teeth grinding, orthodontic treatment, medication or surgery. Treatment may involve a series of steps beginning with the most conservative options. In many cases, only minor, relatively non-invasive treatment may be needed to help reduce the pain. I just thought this was a great illustration. It thoroughly explains the difference between ﻿a healthy tooth and a tooth with Gum Disease. You can see, on the healthy side, the bone and gum level are normal. On the disease side, you can see the tarter attached below the gum and the bone level reduced. This is what we are talking about when we discuss bone loss with you. It is this type of tooth that needs a deep cleaning. We have to numb the area, and go under the gums to clean the tarter off the tooth. This helps restore health to the tooth. If you have questions about bone loss or Gum Disease talk to your dental health professional today! Dental Professionals are always telling patients to drink less soda and drink more water. 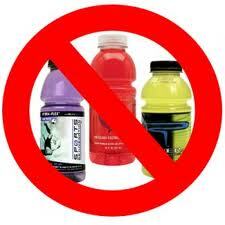 But did you know that Sports Drinks and Energy Drinks are so acidic they can do more damage than soda? A lot of people will choose one of these drinks thinking it will improve their sports performance and give them energy. What they don't understand is that levels of acid are so high in these drinks that they are permanently damaging the tooth enamel. Once the enamel is compromised, the underlying tooth surface, dentin, is exposed. This surface is not as strong as enamel and decays much more quickly. This is becoming a wide spread problem, especially among the youth in our country. The rate of decay among teenagers is growing and reseachers believe these types of drinks are to blame. The best way to manage this type of decay is to aviod these drinks all together. If you must drink them, you should drink them down, DO NOT SIP ON THEM!!!! Sipping on these drinks over time does not allow the teeth any time to recover from the acids. This will cause more rapid decay. Also, if you have a sports or energy drink you should wait at least an hour before you brush your teeth. The acids from these drinks soften the enamel. If brushing occurs before the enamel hardens up again, it can brush the enamel away. Drinking or rinsing with water after comsuming a sports or energy drink will help stop the acids from attacking the teeth. But remember, the best thing is to not drinks these drinks at all. Water is the best choice! Malocclusion means having crooked teeth or a "poor bite." Orthodontic treatment can correct the way teeth and jaws line up. Dentists who are specially trained to correct malocclusion are called orthodontists. They use a variety of treatment tools and techniques (including braces ) to move teeth, and sometimes the jaw, into the right places. A common cause of malocclusion is teeth that have too much or too little room in the jaw. If children have a small jaw, their teeth may grow into a space that is too small. As a result, teeth may grow or drift out of place. Other causes of crooked teeth include thumb-sucking, pacifier use, and tooth loss. The most obvious sign is teeth that are crooked or stick out. Malocclusion can range from mild to severe. Most of the time, having crooked teeth is only a cosmetic problem, meaning people don't like the way their teeth look. But in severe cases, it can cause problems with eating or speaking. Ask questions about your or your child's past health problems. Take X-rays of the face and teeth. Take photographs of the face and teeth. Start your child’s trips to the dentist at age 12 months. This will help your child get used to seeing a dentist. It will also catch any early problems. Keep up with regular dental checkups 2 times a year. In children and teens, the first step in treatment may be to take out certain teeth to make room for teeth that may still grow in. The next step is to attach braces to teeth to straighten out the bite . In addition to straightening teeth, braces can help move a child’s jaw into the right position. Teeth tend to move forward as you age, even after treatment with braces. Retainers are devices you wear in your mouth to keep your teeth from moving. Some people need to use retainers for many years after treatment. Adults can successfully straighten their teeth with braces. But the only way to straighten an adult’s jaw is with surgery. Braces and other types of orthodontic treatment cost a lot. Most insurance plans don't pay for them. Before you start treatment, make sure you know how much it will cost and how you will pay for it. We all need saliva to moisten and cleanse our mouths and digest food. Saliva also prevents infection by controlling bacteria and fungi in the mouth. When we don't produce enough saliva, our mouth gets dry and uncomfortable. Fortunately, there are many effective treatments for dry mouth. Side effect of certain medications. Dry mouth is a common side effect of many prescription and nonprescription drugs, including drugs used to treat depression, anxiety, pain, allergies, and colds (antihistamines and decongestants), obesity, acne, epilepsy, hypertension (diuretics), diarrhea, nausea, psychotic disorders, urinary incontinence, asthma (certain bronchodilators), and Parkinson's disease. Dry mouth can also be a side effect of muscle relaxants and sedatives. Side effect of certain diseases and infections. Dry mouth can be a side effect of medical conditions, including Sjögren's syndrome, HIV/AIDS, Alzheimer's disease, diabetes, anemia, cystic fibrosis, rheumatoid arthritis, hypertension, Parkinson's disease, stroke, and mumps. Side effect of certain medical treatments. Damage to the salivary glands, the glands that produce saliva, for example, from radiation to the head and neck and chemotherapy treatments for cancer, can reduce the amount of saliva produced. Nerve damage . Dry mouth can be a result of nerve damage to the head and neck area from an injury or surgery. Dehydration . Conditions that lead to dehydration, such as fever, excessive sweating, vomiting, diarrhea, blood loss, and burns can cause dry mouth.